Everybody loves a bit of Harry Potter - schools of magic, dragons and dark lords who shall not be named! Dumbledore was the headmaster of Hogwarts School of Witchcraft and Wizardry, a very wise man who was respected by all, even his enemies. The powerful wizard watched over Hogwarts and its pupils and mentored Harry In his fight against evil. 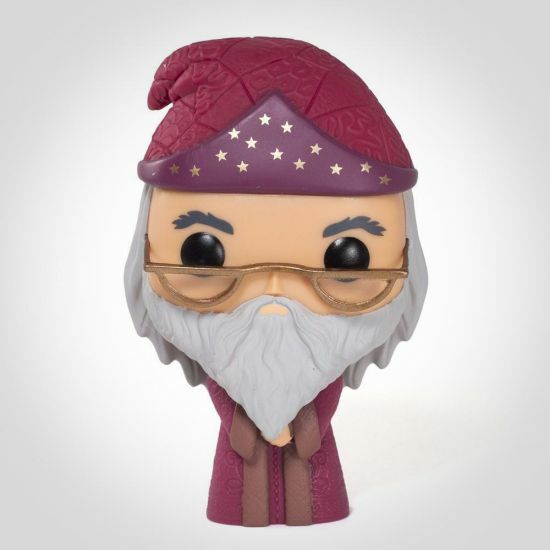 He went from loveable book character to big screen icon and now he’s a cute little POP Vinyl that you can keep on your desk! Pop! Vinyl figures are the latest collectible craze set to brighten up bedrooms, offices, and living room mantelpieces all across the country. From movies, to TV, to comic books and everything in-between we are sure there is at least one Pop! Vinyl Figure for you!